Are you looking for your favorite designers at discounted prices? Batyana offers fashion tops from so many different designers, the selection is out of this world. Savings of up to 60% off! All your favorite styles and hottest clothing trends seen from the West Coast neighborhoods of SoCal style to the hard rockin’ streets of NYC. New pieces are in from Madison Marcus, Kain Label, Nation, Ltd., Midi, Alexis Lamontagna, Rachel Pally, Julie Park, Sky Tops and Tunics and their newest designer, Mia Blaz featuring fringed t-shirts. Their styles are constantly being updated, so there’s something for everyone on their online boutique. The Mid Reverse Seam Zipper Top ($44) was my absolute favorite at the Batyana boutique. 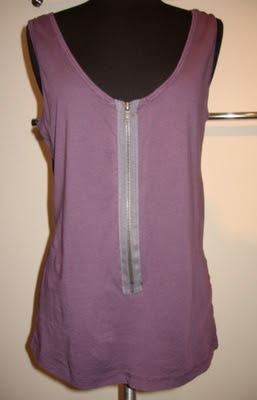 A purple semi-long top with the black zipper down the middle, I love wearing this with leggings. So comfy! Perfect for everyone, (and pregnant people) it covers up my bump perfectly. Can be worn with jeans, jeggings, and the perfect pair of heels. Great for daytime and nighttime. 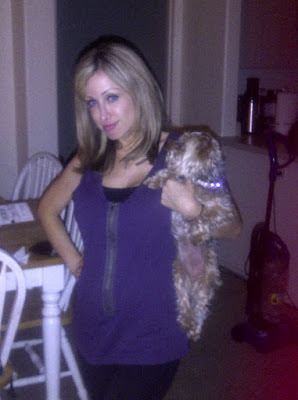 I can’t express enough how comfortable I am in this top, and it’s one of my favorites in my closet. The list of designers are endless, and their sale prices are out of this world. For all types of fashion tops, dresses and more visit Batyana today. Also visit their Facebook to see all their new clothing.